Stampin’ Up! One Big Meaning And Wood Words Patriotic Thank You! My Stamps-N-Lingers 2017-2019 In Colors Bundle Sale ends tomorrow afternoon. The Eastern Palace Bundles sale (Starter or Premium) ends tomorrow afternoon! 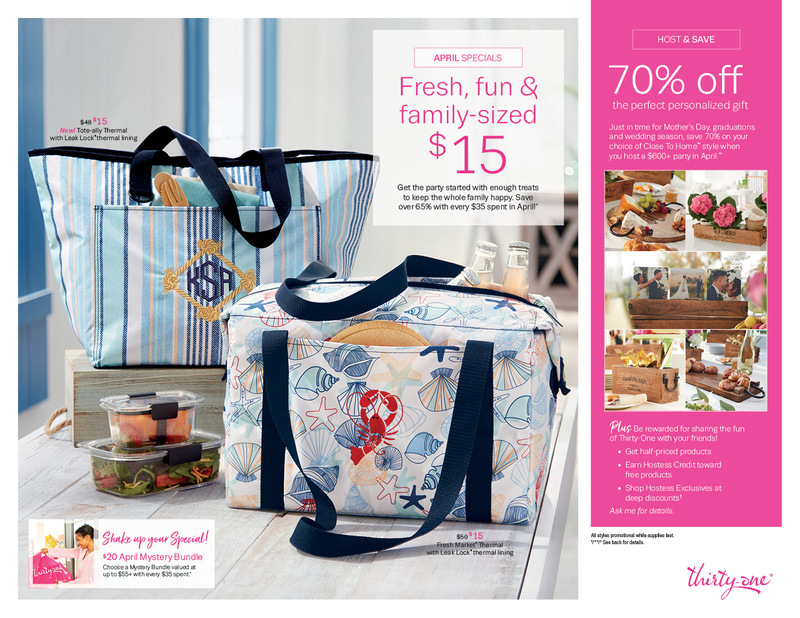 Your chance to buy an Annual Catalog Share ends tonight! You still an opportunity to get your name into the Jul-Dec Online Host Club! And – OBTW – the new Annual Catalog goes LIVE at 3pm Mountain Time on Thursday!! Wheew!! That’s a lotta stuff to pack into a few short days, huh?? There’s a lot of detail and information down below, so be sure to check it all out and take advantage of some great deals happening this week! I started with a piece of dark wood paper from the Wood Textures DSP Stack and matted it on Cajun Craze card stock. The center layer, with the sentiment, is another piece of the Wood Textures paper, also matted on Cajun Craze. To make my sentiment, I first inked the little star cluster image from the Wood Words stamp set in Versamark and stamped it in the corner of the panel. Then I sprinkled it with Copper Stampin’ Emboss Powder and heat embossed it. I stamped the very appropriate sentiment from One Big Meaning in Cajun Craze in the middle of the panel, then SNAILd it to its Cajun Craze mat and onto the card front. I wrapped a piece of the new 1/4″ Copper Trim around the card front, securing it in the back with scotch tape. The stars are from an image in the Wood Words stamp set. I stamped it once in Versamark and heat embossed it in Copper. The other two, I stamped in Dapper Denim and Cajun Craze – then sprinkled them with Clear Stampin’ Emboss Powder and heated them up. This is a cool way to emboss in any color – just be sure to have a moist ink pad, have your embossing powder ready to go and move a little quickly – and the powder will stick just fine. I fussy cut the stars and ran my Stylus on the back of each arm of all three stars to make them more dimensional. Then I adhered each star with a Stampin’ Dimensional. To finish it all off, I adhered a bow from the 1/4″ Copper Trim with a Glue Dot. On the inside, I repeated the Copper embossing of the Wood Words cluster of stars in the top corner of a Whisper White panel. I also added a Dapper Denim and Cajun Craze larger star. I SNAILd the panel to a Cajun Craze mat and into my Thick Whisper White card base, popped the card front on with Stampin’ Dimensionals and the card was done. ...and some more of the dark wood paper from the Wood Textures DSP Stack on the envelope flap. Et Voila! I love the Americana vintage feel of this patriotic card, don’t you? One Big Meaning is a wonderful stamp set filled with sentiments to express your gratitude. And the new Wood Words stamp set goes perfectly with the Wood Textures DSP! One Big Meaning is available now, and the Wood Words goodies are both going to be available on Thursday afternoon!! Hope you like and already have these on your wish list! Stamps-N-Lingers 2017-2019 In Color Bundles Sale – ends tomorrow night! Online Host Club – Only TWO Openings Left for the July – Dec Club! On Memorial Day, we went over to our friend’s house for dinner. That’s where Finn’s sister, Scout, lives. He was sooooo excited to see her!! Finally, they were able to settle down enough for a family portrait. The little brother has outgrown his older sister, hasn’t he? A Stamps-N-Lingers 2017-2019 In Color Bundle Flash Sale! Happy Memorial Day, y’all! As you enjoy your picnics and family time today – please take a moment to think of our men and women who are (or have!) given of themselves to protect this great nation. As Billy Ray Cyrus said – All Gave Some. Some…Gave All. Keep them all in your prayers of gratitude today and everyday! So, I made a card to commemorate the day and all those folks who made it possible. I was inspired by the sketch challenge at Freshly Made Sketches. I’ll share all the details on how I made this card on my post tomorrow. For today, though – I want to give you all a chance to get your hands on the new 2017-2019 In Colors quick as you can – and save a little money! Now – these bundles are in addition to my Annual Catalog Shares, okay? I got this idea from a friend of mine and thought I’d give y’all a chance to get the same great deals! You’ve been seeing the cool new colors we get to play with for the next couple of years and I know you want them all. NOW! So here’s a way to do it. Introducing,…the Stamps-N-Lingers 2017-2019 In Color Bundles! So – seems like a pretty good deal, huh? Thanks – and I’ll see you tomorrow! I Have a Few Share Spots Left!! Online Host Club – There are a Few Openings Left for the July Club! Finn-winn is closing in on getting his Canine Good Citizen certificate! On Sunday – our instructor put us thru one of the low-level obedience tests. Finn did pretty darned good. His mom – well, there were a few missteps. Our instructor has a pretty thick German accent, okay? It could happen to you, too! But – he did good. And – he kind of knows it. That’s the relaxed pose of someone who knows they’re all that and a whole entire case of chips! He also watches with feigned interest while the other dogs attempt to impress the teacher. You know. And I know. And he knows. And the other dogs know. Mornin’, y’all! Like any three-day weekend, this one is flying by! Hope you’re having a good one so far. So – I’ve got some good news and some bad new for y’all. Which one do you want first? I know you’ve been watching the Delightful Daisy suite very closely – and no doubt are ready to order it just as soon as the catalog goes live next Thursday. But. It turns out that the Daisy Punch has been even more wildly popular than Stampin’ Up! could have anticipated! And they anticipated high – believe me! Because of this, the current supply of Daisy Punches has sold out. To prevent this punch from being in a near-permanent backorder status for the first few months of the catalog, they’ve made the difficult decision to turn off ordering for the Daisy Punch beginning 1 June. They won’t be accepting any additional orders for this punch until their first shipment arrives the week of June 26 June. Ordering will be turned off for both the punch and the Daisy Delight Bundle (the Daisy Punch and coordinating stamp set). So, even though the punch won’t be available for purchase on the 1st, it will be available later in June. I’ll let y’all know just as soon as I see that the Daisy Punch and Daisy Delight stamp set bundle are available for ordering again. The good news is that there’s about 200 pages of aweosme-ness in the new catalog, so…I feel pretty confident that you’ll be able to find something that will strike your fancy while you wait for the Daisy Punch! I know I’ve got two packed pages of somethings to order on the first along with my share order!! Good thing I’ll be getting that 20% discount!! My inspiration for this card came from two places. And I also drew some ideas from Rochelle Blok, the guest designer at the TGIF Challenges this week. I do hope you’ll join me tonight!! My puppy is a very smart boy. Yesterday morning, in a fit of I-don’t-even-know, I mowed the arena. Wayne had gone fishing and I was just waiting for the horses to finish eating. Finny and I had done a few rounds already and I was bored with that. So…I mowed! It wasn’t too hot, but it wasn’t cool, either. As I made my round and round and round on the mower, I realized Finny had left me. So – I whistled him up and here he came. From the barn. This happened a few times before I was finished mowing and went to put the mower away. Yep – chillaxin’ in the aisle, smack in front of the giant blowing fan. He did rouse himself for a good game of play-in-the-hose while I rinsed off the mower. No dummy is my Finny! Stampin’ Up! Feathery Friendly Tabs & Squares! Happy Long-Weekend, y’all! Hope wherever you are will give you a lovely weekend to enjoy outdoors – and not surface-of-the-sun hot, either! And, please, while you’re preparing for your family picnics and parties on Monday – take a moment to remember the folks still fighting the good fight so we can enjoy our weekend in safety and peace. This sketch, from the CAS-ual Fridays blogspot, is one I’d been intrigued with since I saw it. To begin, I stamped the pretty little flower from the Feathery Friends stamp set in Tranquil Tide ink on Whisper White and cut it with the smallest Stitched Shapes square die (that’s about 1 1/8″ square). I matted each square on a scalloped-edge square cut from a piece of Tranquil Tide paper in the new Fresh Florals DSP Stack. I did that 8 times in all! I lightly colored each flower with my Powder Pink Stampin’ Writes Marker – be careful doing this, the Tranquil Tide ink will bleed! Then I used Liquid Glue to adhere each square to my Whisper White card front. I left the center square open. The center, sentiment, square is cut from Whisper White with a second Stitched Shapes Framelits die. I stamped the little bird from Feathery Friends in Tuxedo Black Memento Ink and colored it with my Tranquil Tide, Powder Pink and yes, Lemon-Lime Twist! !, Stampin’ Write Markers. For my sentiment, I pulled a couple of words from the handy little Tabs For Everything (avail 1 June!) and stamped them in Tranquil Tide. This is a photopolymer set, so it was easy to get the words right where I wanted them. I matted the square on a scalloped-edge square of the Tranquil Tide Fresh Florals DSP and popped it over the top of the other squares with Stampin’ Dimensionals. I adhered the panel to a Powder Pink mat and then wrapped a piece of Powder Pink 1/2″ Finely Woven Ribbon around it, securing it in the back with scotch tape. Then I used another short length to tie a “faux bow” – which is just a tight knot around the first piece of ribbon, with the ends trimmed nicely. And that was it for the card front. On the inside, I stamped the flowers from Feathery Friends in Tranquil Tide a few times on a Whisper White panel. Then I colored them with the Powder Pink Stampin’ Write Marker. I SNAILd the panel to a Powder Pink mat and into my Tranquil Tide card base, popped the card front on with Stampin’ Dimensionals and the card was done! …and then I added a little more Tranquil Tide Fresh Florals DSP to the envelope flap. Et Voila! I really love this kind of card – with the grid of images. And I think this one, with the flowers from Feathery Friends, came out just right! I hope you like! Only a Few More Days to Get These Value-Packed Bundles! They Go Away at the End of the Day on 31 May!! Our days are driven by routine – it’s a by-product of having animals. Dog goes out when I get up. Dog comes in and has a nap. We feed the horses at 8. Run the dog around. Play some bumper. He goes for a pond. Let the horses out. Clean the stalls. Back inside. Mom starts her work day on the computer. Dog eats cat food Mom throws for noisy cats. Cat settles down for a snooze by the back door – especially when it’s a nice summer day and the door’s open. That’s Leo. He’s eyeballing some chipmunks and a few birds. Finn – checks out breakfast and usually decides he’s not hungry yet. Time to join the cat in the morning snooze. Stampin’ Up! Windows into Background Bits! Before we embark on today’s card, I want to give you an update on my Online Host Clubs. My June club is full-up! I have a few spots left for the club that starts on 1 July – so don’t delay. If you’re wanting in – let me know ASAP! Still need the details? Here’s a link! Okay – so my card today is a clean and simple one featuring just three colors. And almost no layers! I played along with the sketch at the Fusion Challenge for the layout. And my color scheme is from the Color Throwdown. I started by cutting a Whisper White panel for the card front. And then I cut an identically-sized panel from Thick Whisper White card stock. That panel I used to make my stencil. I used the 1 3/8″ square from the Squares Layering Framelits and cut three windows in the Thick panel. Then I adhered both panels to my Grid Paper with some Sticky Note tape. I used a Sponge Dauber to sponge the three squares with Tranquil Tide ink. I left the stencil in place and stamped the flower from Background Bits in Basic Gray Archival Ink. I SNAILd the panel to a Basic Gray mat and then used my Stamp-A-Ma-Jig to stamp the Background Bits sentiment in Basic Gray Archival Ink. I wrapped a piece of Tranquil Tide 1/2″ Finely Woven Ribbon (avail 1 June) around the panel and then tied a short piece of the ribbon in a snug knot to make a faux bow. And that was it for the card front. On the inside of my card, I taped off a strip at the bottom of a piece of Whisper White card stock, sponged it with Tranquil Tide and added a few more Background Bits flowers in Basic Gray Archival Ink. I SNAILd the panel to a Basic Gray mat and into my Thick Whisper White card base, popped the card front on with Stampin’ Dimensionals and the card was done! …and I put some of the Tranquil Tide paper from the new Fresh Florals DSP Stack on the envelope flap. Et Voila! I love love love this Host set – Background Bits is chock-a-block full of versatile possibility!! Hope you like – and remember you could choose this stamp set in your Online Host Club Month! We’ve started using a new collar type for Mr. Finn. They’re ridiculously ugly. Bright green – and let me tell you, Lemon-Lime Twist is not a good dog-collar-color!! And the electronic collar is hunter orange. We started with the green collar to use with the GPS tracker. Which didn’t track – so we sent it back. But I haven’t changed back to his pretty blue collar yet. Okay. I don’t remember where I put it. Don’t judge! I’ll find it eventually! But – the two collars are both sized for…horses?!? They’re so long that they leave a huge “tail”. Even the green one, which is loose enough on him it’s more like a necklace than a collar. He just loves to carry stuff in his mouth. Never ending amusement with an Aussie in the family! I started with a double layer mat – one in Berry Burst (avail 1 June) and the second in Dapper Denim. The bottom panel of the card front is a piece of Dapper Denim from the Color Theory DSP Stack. First I cut the scallops using the edgelit die in the Seasonal Layers Thinlits, then I ran it thru the Big Shot in the Seaside TIEF. Next up, I made the top panel – starting with a piece of Crushed Curry paper from the Color Theory DSP. I used my 1 1/2″ Circle Punch to make a stencil and – on the bottom edge of the DSP, sponged a Calypso Coral “sun”. I pulled off the stencil and then continued with my almost-dry Sponge Dauber to add a “halo” of Calypso Coral around the circle. Using the grasses and birds images from the High Tide stamp set, I added them in Tuxedo Black Memento Ink. I built the card front by first adding the stamped Crushed Curry panel with Liquid Glue. Then I added a strip of 5/8″ Burlap Ribbon – for the “beach” – with Liquid Glue. Finally, I added the “ocean”. My chair is from the Seasonal Layers Thinlits. First I stamped the Hardwood background image in Berry Burst on a piece of Berry Burst card stock, then cut the chair with the die from the Seasonal Layers. I used Liquid Glue across the bottom of the chair and a few pieces of Stampin’ Dimensionals on the back of the chair and adhered it to the card front. And the card front was done! On the inside, I made another “sun” with my 1 1/2″ Circle Punch stencil in Calypso Coral on a Whisper White panel. Then I added a second sentiment from Colorful Seasons in Tuxedo Black. I double matted the panel on Dapper Denim and Berry Burst, then added it to my Basic Black card base, popped the card front on with Stampin’ Dimensionals and the card was done! …and then I added a little more of the Dapper Denim paper from the Color Theory DSP to the envelope flap. Just to do a little something different, I embossed it in the Seaside TIEF before I added it to the flap! Et Voila! I love the adirondack chair in the Seasonal Layers Thinlits, don’t you? I think all the pieces and parts came together to make a pretty little beachside sunset scene! Hope you like! The Eastern Palace Suite is available thru the end of May in two awesome bundles! Just so you know, while all the products will still be available when the catalog goes live on 1 June, these bundles will NOT be! The Colorful Seasons Bundle (with the Seasonal Layers Thinlits) and the Color Theory DSP, along with the 2017-2018 In Colors will be available on 1 June! Stampin’ Up! Wild About Daisies! Mornin’, y’all and happy Hawwmp Day! I wanted to quickly remind you that I’ve got a couple three openings left in my upcoming Online Host Clubs – these are great ways to earn host rewards! I’ve got all the details on my Online Host Club page, so check it out. And then get your name on the list! Speaking of hosts…we found out that Stampin’ Up! will be offering an extra $35 in Stampin’ Rewards for qualifying orders or parties over $350 in June! We’ll get more details on the 30th, and I’ll be passing them on lickety-split. In the meantime, be thinking about how you’d spend an extra $35 of free money! The layout for this one is from this week’s Mojo Monday sketch challenge. I started with a beautiful piece of paper from the Delightful Daisy DSP and matted it on a piece of Peekaboo Peach card stock. The next layer is a rectangle of Whisper White card stock. Using the images in the Wild About Flowers stamp set, I stamped several stems in Old Olive ink. Then I added flowers in Calypso Coral, Wisteria Wonder and Peekaboo Peach. I SNAILd the panel to a Peekaboo Peach mat and then onto my card front. I used a length of Tranquil Tide 1/2″ Finely Woven Ribbon, looping it around and securing it in place with some strategically placed Glue Dots. This ribbon, available on 1 June, is just lovely – it’s thin enough to be pliable but it’s got enough heft to do what you need it to do! And it’s going to be available in all the new 2017-2019 In Colors! And – you could get a couple of yards in each color in my Catalog Shares. Check those out right here – still have a few spots open! My flower is made from two punched Whisper White daisies that I cut with the Daisy Punch. I adhered them together with a bit of Liquid Glue and then stamped one of the flower middles from the Daisy Delight stamp set, in So Saffron ink. My sentiment is from the Eastern Beauty stamp set, stamped in Tranquil Tide on Whisper White. 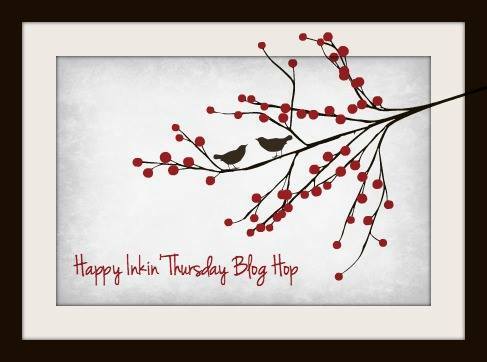 I snipped a banner end and edged it with my Peekaboo Peach Stampin’ Write Marker. I popped the daisy on with Stampin’ Dimensionals and then added the sentiment with a Glue Dot. Over the middle of the flower, I added a new Gold Faceted Gem. And yes – that was it for the card front! On the inside, I used the large stem from Wild About Flowers and stamped it in Old Olive in the center of a Whisper White panel. I stamped the image off twice before stamping the panel. The flowers are added in stamped-off-twice Calypso Coral ink. I added a sentiment from the Daisy Delight stamp set in Tranquil Tide. I SNAILd the panel to a Peekaboo Peach mat and into my Tranquil Tide card base, popped the card front on with Stampin’ Dimensionals and the card was done! …and I added a slightly different paper from the Delightful Daisy DSP to the envelope flap! Et Voila! I love this Wild About Flowers stamp set – the images are so simple and beautiful! And the way it just meshes with the Delightful Daisy is simply…wait for it….Delightful!! Hope you like and are anxious to get this new Suite in your hands!! And already have Wild About Flowers!! Well – it spent a lot of the day raining here. Almost-one-year-old Aussies love the rain! And it’s never raining too much to play in and around the pond. But, almost-one-year-old Aussies also know that our actions have consequences! He’s smart that way. Mornin’, y’all! How goes your week? We’re getting some much-needed rain and it’s cooler again, so that’s a nice change for us! I played along with two challenges on this one. The first, from Sunday Stamps, inspired my color choices. And the second, from The Paper Players, inspired the clean-and-simple format and the butterflies! I started by cutting two of the solid butterfly die shapes from the Bold Butterfly Framelits from scrap card stock. I used the cut-outs as masks and the negative as a stencil. Using my Sponge Daubers and my card stock stencil, I inked the top butterfly in Tranquil Tide. I used the stamps in the Watercolor Wings stamp set to add the accents and the butterfly body in more Tranquil Tide. Then I covered it with one of my masks, and repeated the process for the middle butterfly, using Lemon-Lime Twist ink (available 1 June). Finally, I covered the Lemon-Lime Twist butterfly with a mask and inked the bottom one in Marina Mist. I used a White Gel Pen to add some dot highlights on all three flutterbies, and then I picked up some ink from the lid of my Smoky Slate ink pad with a Blender Pen and very lightly added some shading on the bottom edge of the butterfly wings. The sentiment, from Watercolor Wings, is stamped in Tuxedo Black Memento Ink on a strip of Whisper White. I adhered a slightly larger strip of Tranquil Tide card stock to the card front with Liquid Glue and then popped the sentiment over top with Stampin’ Dimensionals. I finished up by SNAILing the panel to a Tranquil Tide mat and the card front was done! On the inside, I used the small butterfly in the Bold Butterfly Framelits and cut it out twice – once in Lemon-Lime Twist and once in Tranquil Tide. I adhered the Tranquil Tide die cut to a Whisper White panel with Liquid Glue, then I adhered the cuts from the Lemon-Lime Twist die cut in the negative spaces. I SNAILd the panel to a Tranquil Tide mat and into my Smoky Slate card base, popped the card front on with Stampin’ Dimensionals and the card was done. …and on the envelope flap, I added another Tranquil Tide butterfly. For this one, I used all the large butterfly stamps in the Watercolor Wings stamp set. Et Voila! I’m kinda loving how these three colors – Marina Mist, Lemon-Lime Twist and Tranquil Tide – worked out together. What do you think? I hope you like! The 2017-2018 In Colors Inks and Card Stock will be available on 1 June! We’ve been in a bit of hand-crossing phase this past week. The other day, I took a shower so I could run some errands. And – as usual, I had my bath-house attendant in attendance. And he waited patiently. He reminds me of a husband waiting in a department store while his wife is in the dressing room. His hands just crack me up. Stampin’ Up! Eastern Palace and Delightful Daisy Match Up! Good Monday morning, y’all! Welcome to the work week! Bleh. That’s how I’m starting to feel about work. Just…bleh. Thank goodness it’s still supporting my SU! habit or…might be time to pull the plug! If you didn’t get to see my Facebook Live video from last night, here it is! Enjoy! And my color scheme is courtesy of the Just Us Girls Color Week challenge. I started with a piece of the Night of Navy paper from the Delightful Daisy DSP and SNAILd it to the top of a Lemon-Lime Twist mat. This new bright color is an amazing accent color! For the bottom portion, I ran a smaller piece of Night of Navy card stock thru the Big Shot in the new Sparkle TIEF (1 June) and adhered it with SNAIL. Using a piece of Whisper White card stock, I cut the Eastern Medallion die cuts. I laid them both out on the card stock at the same time – and added the largest smooth-sided circle die from the Circles Layering Framelits around both medallion dies. So I made three cuts with just one pass in the Big Shot! Once my cut was made, I used the little accent image from the Eastern Beauty stamp set and stamped it around the outer edge in Tempting Turquoise. I added the sentiment, also in Tempting Turquoise, and the circle-of-dots in Lemon-Lime Twist, too. I matted my medallion on a scalloped Lemon-Lime Twist mat, using Liquid Glue, and then popped it all over the card front with Stampin’ Dimensionals and the card front was done! On the inside, I kept it very simple, just adding a second Eastern Beauty sentiment and more of the little accents images in Tempting Turquoise on a Whisper White panel. I SNAILd the panel to a Lemon-Line Twist mat and into my Night of Navy card base, popped the card front on with Stampin’ Dimensionals, and the card was done! Et Voila! This Eastern Palace bundle is just wonderful – so full of possibility – so many combinations! I just love it – and hope you like, too! Don’t miss your chance to get the big bundles while they last! My puppy is kind of a goofball. And I don’t mind. Goofy is fun. But – when he starts doing things that make me feel like a dog abuser….I have to draw the line. His parents won’t even give him a soft place to lay. No plush bed for this abused pooch.